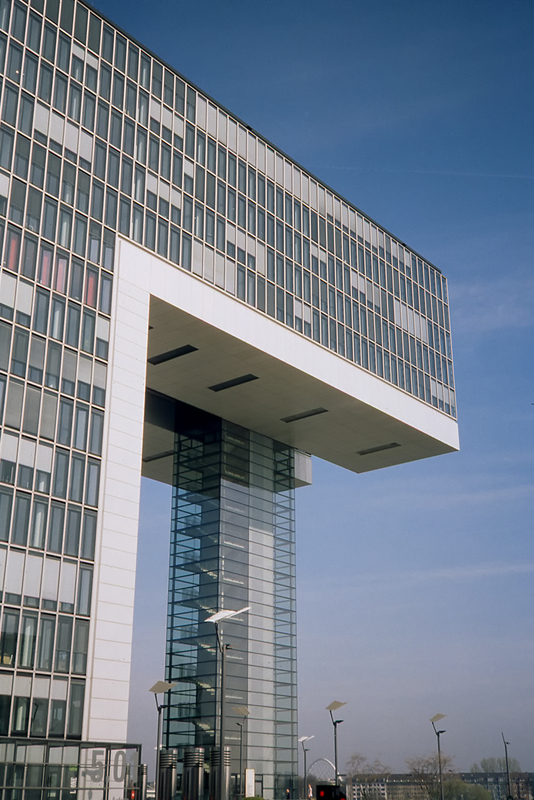 Here’s a shot of one of the crane houses (Kranhaus Süd) in Cologne, Germany. This image was shot, at box speed, with an Olympus 35rc loaded with Agfachrome CTx 100 that expired 09/99. I had the film processed at my local lab and scanned the images myself on an Epson v600.